It comes as no surprise to me that I grew up having headaches. I played soccer, basketball, and swam competitively. Add the goofy things I'd often do while riding my bike and roughhousing in the pool with friends, and it seems fairly obvious why I had headaches as often as I did. I can remember being just 12 years old and knowing precisely which shelf in my parent's bathroom closet contained the pain relievers. I'd casually take one whenever my headaches bothered me for too long. It always seemed to do the trick. Fortunately, these weren't the devastating find-a-dark-room-and-hope-it's-gone-by-tomorrow type of headaches that I help patients with in my Webster Groves chiropractic practice. Compared to the more frequent, chronic, and debilitating migraines that these patients are seeking relief from, mine were quite mild. It wasn't until I was half way through chiropractic school that it occurred to me... headaches weren't part of my life anymore. So what changed? 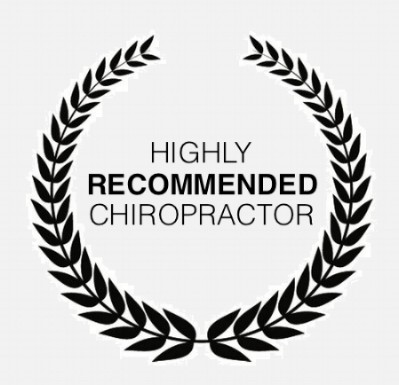 Around mid-2002, I began receiving a particular form of chiropractic treatment known as Upper Cervical Care. It was unique compared to conventional "diversified" chiropractic adjustments in three key ways. First, this procedure entailed highly sensitive thermal imaging scans that pinpointed a distinct area of imbalance. A consistent pattern kept showing up and remained unchanged, even after standard chiropractic adjustments. Second, I received specific x-rays of my neck and skull that mapped precisely how the top portion of my spine was positioned. Prior to this, the spinal x-rays I had received in school were only used to rule out fractures, tumors, and dislocations. Fortunately, my x-ray reports were always clear of any identifiable pathology. Third, I rested for 20-30 minutes each time this procedure was given. There seemed to be a difference in how my body responded to adjustments when I didn't leap off the chiropractic table immediately. They "held" noticeably longer, and I needed fewer and fewer treatments. After a short period of receiving this care, I remember talking to a friend about headaches. And that's when it occurred to me... I hadn't had a headache for quite a while. In fact, I completely forgot about those "normal headaches" that I'd been having for so long. After training to become one of these Upper Cervical chiropractors, I opened my practice in 2004. One of my first patients was a sweet middle-aged woman with chronic headaches. She opened up her calendar book the day I met her and pointed to the month of September. She counted 27 blue dots on it. One dot for each day she had a headache. She told me, "I'm tired of counting these blue dots." After receiving a small number of treatments, she returned for a progress exam about 6 weeks later. She pulled out the same calendar book and showed me the month of October... Instead of 27 blue dots, there were 5. In the first two weeks of November, there was only one! With a big smile she said, "I think there's something to this Upper Cervical stuff of yours." Fast forward a few years later, an older gentleman from a small town in rural Arkansas called to scheduled an appointment. Despite my best efforts to explain that there were plenty of qualified chiropractors significantly closer to his home, he insisted that the ride was worth it because I had helped his daughter-in-law while she lived in Kirkwood. She too was a headache sufferer who had received great results after receiving Upper Cervical Care. I'll never forget his response: "Doctor, no drive is too far when you feel as bad as I do." After a series of trips to St. Louis, his headache frequency and intensity were significantly reduced. If you're a headache sufferer, I want you to know that you have options. Even if your headaches seem fairly minor, like the ones I had as a kid, it's important to know that headaches are your body's way of telling you something isn't quite right. I'd like to make myself available to you as a resource, and help you figure out what's going on in a safe, gentle, and painless way. So if you're currently in the St Louis area, I invite you to experience what it feels like to be free from headaches. You can request an appointment here. If you're in another part of the country, I'll see if I can find someone in your area who might be able to help as well.